It’s interesting to hear sounds that seem to be popular in the ‘mainstream/commercial’ angle of heavy music stateside given an overseas perspective from musicians. Take the case of Swedish quartet Corroded – they’ve hit the charts, played sold out tours opening for Pain and headlining on their own, and played on prestigious festivals from Sabaton Open Air to Sweden Rock. Now releasing their fifth album for Bitter, the group sits in that heavy groove/simple but familiar platform where choruses are catchy, riffs are bouncy, and you get the feeling that the band loves Five Finger Death Punch and Disturbed just as much as say Nickleback, Prong, or Sevendust when it comes to their attitude, musicianship, and overall songwriting. Between guitarists Tomas Andersson and Jens Westin they handle all of the low-tone crunchy rhythm action and supplement the songs needs with occasional lead break flurries typical of arena-worthy bands. They can sit in the chugging, mid-tempo sweet spot that elevates the youth during “Burn” as well as throw down a bit of that semi-thrash finesse in bursts of “Scream”, sure to illicit crowd approval for its supplementary squeals and uplifting Testament-ish energy. 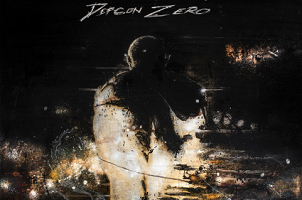 Aware of the need to never stay in a similar arrangement pocket, the longest song “Black” at six-minutes and change contains some atmospheric music sections and a low register vocal from Jens for the verses that conveys some Pete Steele aspects before the chorus reverts to the larger than life / FFDP meets Nickelback tricks. Beyond the one-word song titles, there are a couple of moments that definitely put Corroded on the ideal path for success – “Breathing” contains the perfect melodic riff/vocal hook combination that the steady double kick/stomping tempo drives to modern rock audiences’ hearts, while the churning circular chords for “Destruction” could be another live staple. The ultimate problem for this style is the formula can stagnate quickly – as the band fail to really think outside the box and keep things safe for specific verse/chorus sequences and the supplementary instrumental sections aren’t firing on all cylinders. 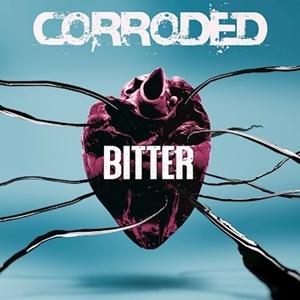 Calculations are all fine and dandy, you just wonder if the heavy music scene needs another band like Corroded when Mustasch for instance are so much better at the various angles for originality and execution. As such, Bitter has its best appeal for those who dig the chart-worthy American bands penetrating the ‘heavy/hard rock’ scene today.